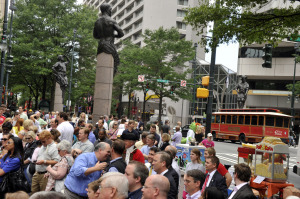 Monday, May 20, 2019 12:00 p.m.
Uptown at Trade and Tryon. 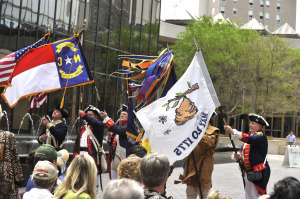 Plan to come out and celebrate this annual commemoration in Charlotte. The MeckDec celebration has hosted four former Presidents (Taft, Wilson, Eisenhower and Ford), military Generals, a First Lady and countless dignitaries. We will celebrate the signing of the declaration, the spirit of our community and the distinct and rebellious history that binds our community together. 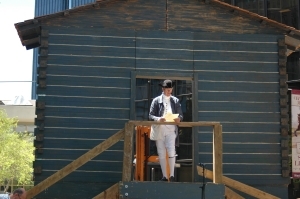 Events will include Military and Colonial Re-enactors, Historical Readings, horses, military parades, cannon firing and good ol’ American-styled patriotic celebration of who we are as a people. Don’t miss out on this free event celebrating Charlotte and its people!